It has affected the fisheries in the immediate surrounding areas, livelihoods of fisherfolk in its downstream, as well as affected the downstream river, its biodiversity, and other related aspects. As if this was not enough, the Garudeshwar Weir (GW) is planned and under construction without any impact assessments, public consultations, appraisals and clearances including from the Narmada Control Authority (NCA) or its Environmental Sub-Group (ESG). The Statue of Unity (SoU) Project is built in the middle of the river without any impact assessments, public consultations, appraisals or clearances and now huge tourism related projects unfold around this statue. The combination of SSP, GW, SoU Project and the Tourism Project have created a situation where apparently Narmada River is now ending at Village Garudeshwar, instead of at the Arabian Sea further down, 161 kilometres away. River Narmada flows 1,077 kilometres stretch in Madhya Pradesh, the next 35 Kilometres stretch of the river forms the boundary between the states of Madhya Pradesh and Maharashtra, the next 39 kilometres forms the boundary between Maharashtra and Gujarat, and the last stretch of 161 kilometres in Gujarat. It is important to note that we are talking about Narmada River, a perennial river, now in its worst condition across its Gujarat stretch and does not have fresh water in downstream and is reduced to carrying sewage, industrial wastewater and sea ingress. There are industrial effluents discharged from Ankleshwar, Jhagadia, Panoli, and Dahej industrial cluster near Narmada River into the sea. These clusters are known for non-compliance of prescribed standard for effluent discharges. The 161 kilometres downstream river now is prone to these realities: Floods and flash floods; a dry river bed stretch where mostly untreated and some semi-treated sewage and industrial effluents and solid waste are released; and sea ingress which mixes with untreated sewage and industrial effluents. Narmada, a perennial river, now stands converted into a dry river in the Gujarat stretch of 161 kilometres. In fact, SSP and GW are controlling the flow of water and silt downstream. Concerned authorities assumed, without any credible study, that 600 cusecs (cubic feet per second) water release would be enough for the downstream river. NCA, NCA-ESG, Ministry of Environment, Forests and Climate Change (MoEF&CC) and Ministry of Water Resources strangely agreed to this assumption and allowed water release, that too from Godbole Gate and not the dam, as it should be. Moreover, the authorities agreed that this quantum would not be from Gujarat’s share for Narmada waters, contrary to what the Narmada Water Distribution Tribunal award had clearly stipulated: Which means, the Gujarat Government today is releasing no water for the downstream river, and yet it keeps writing letters to MoEF&CC asking for more water, rather deciding to release water from its own share, as it should have been. There is also no credible and transparent mechanism to show, if at all, that the Gujarat government is releasing the claimed 600 cusecs of water from the Godbole Gate. More recently, the Gujarat government has written to NCA that to increase the release to 1,500 cusecs to ensure survival of the downstream river. In fact, both 600 and 1500 cusecs figures are ad-hoc, without any scientific or technical basis. 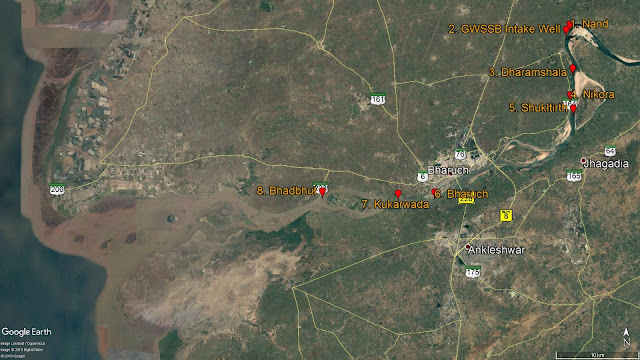 We demand that an expert committee is formed to assess the sustainable ecological flow required in the river for different seasons, thus ensuring that it does not dry up in the downstream stretch up to the Gulf of Khambhat. The present reality indicates over-exploitation and destruction of the downstream Narmada river and her ecology, ecological flow, tribals, downstream villagers, livelihood, social and environmental justice, democracy, natural and cultural resources, valuable human resources, and a wildlife sanctuary. The downstream impacts of SSP, GW, SoU Project and the Tourism Project would include not only destruction of downstream fisheries, on which thousands of people are dependent, but will also result in sea water ingress. These projects now have grave adverse impacts on the Narmada estuary, and unless all possible impacts are properly studied and the state has mitigation plans, we stare at a grim situation of a dying Narmada that we killed with our apathy and greed. The rich scenario of fisheries downstream of the dam, including the famed Hilsa, stands destroyed. Salinity ingress threatens water supply and irrigation use of over 210 villages and towns and Bharuch city. All these have not only had serious economic and other impacts but also had directly destroyed the livelihood of at least 10,000 fishing families. The Gujarat government has repeatedly claimed that number of studies have been carried out for the downstream of the SSD. The present reality on ground clearly indicates NCA-ESG has accepted various studies and progress report at a face value and without any serious scrutiny and verification. Nobody can dispute that the alteration of the river's flow and sediment transported downstream of SSD has often caused gravest and sustained environmental impact. Life in and around a river evolves and is conditioned on timing, quality and quantity of river flow, which includes water flow, silt flow, nutrient flow, biodiversity connectivity, longitudinally and laterally. Our investigation reveals that the Gujarat government and the MoEFCC have grossly abdicated their responsibility. Repeated abdication of by the Gujarat government, Narmada, Water Resources, Water Supply & Kalpsar Department, Sardar Sarovar Narmada Nigam Ltd., NCA-ESB and MoEFCC clearly indicates that they were not taking the whole issue with the seriousness it deserves. On April 6, 2019 we carried out an investigation of Narmada waters within downstream of SSD. The investigation area is between Village Nand, latitudes Lat: 21°51'27.87"N, Long: 73° 8'2.93"E to Village Bhadbhut, Lat: 21°40'41.37"N, Long: 72°50'48.41"E. The following table indicates the water quality findings – which are grim, denoting criminal apathy and requiring immediate punitive and remedial actions. 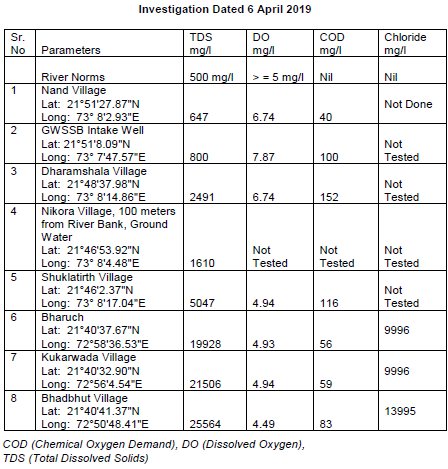 The above table clearly indicates TDS 647 – 5,000 – 20,000 – 25,500 mg/l, COD 40 – 100 - 150 mg/l and DO of 4.49 to 7 mg/l of Narmada river. Narmada river in this stretch is in a seriously grim condition and all the concerned authorities are to be blamed for this state of abject neglect. The groundwater sample at 110 feet below the ground surface was measured. It has TDS of 1610 mg/l. This sample was taken near Nikora village, just 100 meters from the Narmada river bank. This indicates sea ingress in Narmada, which does not have any fresh water in the river. 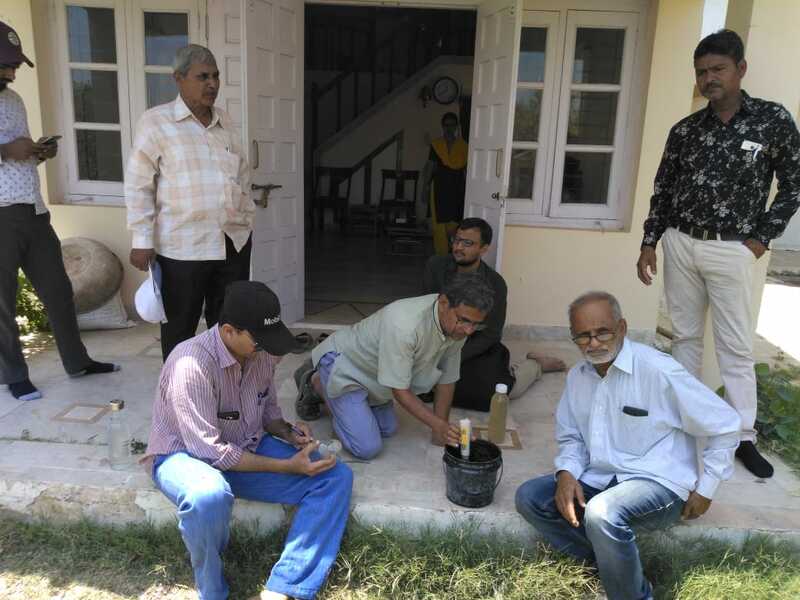 This condition adversely impacts the groundwater of wells and borewells of the surrounding downstream areas of the Narmada river. We would also like to make it very clear that the Bhadbhut Barrage Project, proposed to stop salinity ingress, will add more problems and destroy the entire estuary and livelihood of even more people. The ostensible objective of achieving riverbed navigation is also unlikely to be achieved with so little flow from SSP. NCA has been setup under the final orders and decision of NWDT as machinery for implementation of its directions and decision. The authority started functioning from December 20, 1980. The authority is a body corporate with representatives from four states, Madhya Pradesh, Gujarat, Maharashtra and Rajasthan, and representatives from the Government of India. The authority is funded in equal proportion by all the four states. The secretary (water resources), Government of India, is ex-officio chairman of the authority. The routine administration is the responsibility of executive member of the authority. The Narmada Control Authority, with its headquarter in Indore, Madhya Pradesh, presently has six subgroups, apart from the NCA-ESG. Resettlement and Rehabilitation Subgroup under the Chairmanship of Secretary, Ministry of Social Justice and Empowerment, Government of India. Resettlement Committee for SSP under the Chairmanship of Secretary, Ministry of Social Justice and Empowerment, Government of India. Hydromet Subgroup under the Chairmanship of Executive Member, NCA. Narmada Main Canal Committee under the Chairmanship of Executive Member, NCA. Power Sub-Committee under the Chairmanship of Member (Power), NCA. Sardar Sarovar Reservoir Regulation Committee under the Chairmanship of Executive Member, NCA. Reality reveals that all these sub-groups, including NCA-ESG, have failed to carry out their mandated duties with diligence and are functional merely on paper. All the concerned authorities immediately release 4000 cusec water from the SSP in the downstream Narmada River till final independent, credible studies are conducted for Ecological Flows in the downstream of the Narmada River. 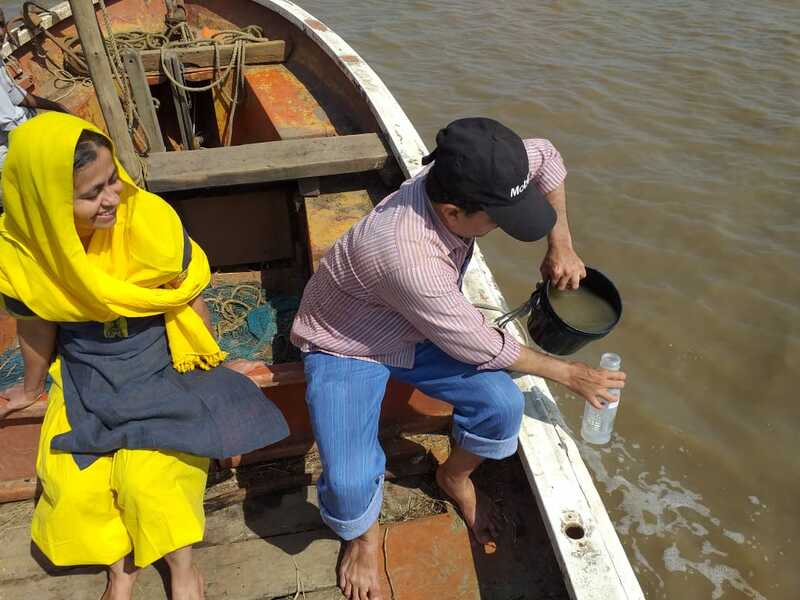 This water may be counted from Gujarat’s share of Narmada Water. We believe that this is the minimum quantity of water that the river needs to continue to perform all the tasks, social functions and ecosystem services that the river needs to perform. Immediately stop discharge of untreated sewage and industrial effluents into the Narmada River. Appoint a high level and empowered committee of the MoEF&CC, Central Pollution Control Board (CPCB), Gujarat Pollution Control Board (GPCB), local state authority, representatives of affected villagers and representatives of voluntary organisations working on environment, and independent expertise for ecological restoration and rejuvenation of Narmada river. Appoint a high level and empowered committee of the MoEF&CC, CPCB, GPCB, local state authority, representatives of affected villagers and the representatives of the voluntary organisations working in this area on environment, and independent expertise for day to day monitoring and evaluation of the quality of the 161 Kilometers downstream stretch of the river and the groundwater of surrounding areas. Ensure Ad-hoc Exemplary Monetary Compensation to farmers, villagers, and fishing folks who are suffering from the degradation of downstream river quality. Appoint a competent and empowered committee to assess the ongoing and past damages to quantify the real compensation payable to the farmers, villagers, and fisher folks for the damages done. Implement the Order, dated February 22, 2017, of the Supreme Court in Writ Petition (Civil) No. 375 of 2012 (Paryavaran Suraksha Samiti & Anrs V/s Union of India & Ors) and National Green Tribunal, Principal Bench, Delhi Order, dated 03.08.2018, in Original Application No. 593 of 2017, (Paryavaran Suraksha Samiti & Anrs V/s Union of India & Ors) in letter and spirit. Direct the Gujarat government to ensure that work on Garudeshwar Weir, Bhadbhut Weir and Tourism Projects related to SoU be stopped immediately till a credible independent assessment of all the impacts is done, to be followed by public consultations and appraisals. The study should include the assessment of carrying capacity and limits of acceptable change of the downstream river.